The Government has announced a new 10-year strategy to address employment prospects for disabled people and people with health conditions. In response to its Work, Health & Disability Green Paper consultation which closed earlier this year, the White Paper, Improving Lives: the Future of Work, Health and Disability sets out how the Government will work with employers, charities, healthcare providers and local authorities to break down employment barriers for disabled people and people with health conditions over the next decade. This will be delivered through in-work programmes, personalised financial and employment support, and specialist healthcare services. Currently, ill health that keeps people out of work costs the economy an estimated £100 billion a year, including £7 billion in costs to the NHS. Two new employment trials will also be launched in the West Midlands and Sheffield City Region combined authorities to provide employment support. The Government is also investing around £39 million to more than double the number of Employment Advisors in Improving Access to Psychological Therapies services. Work and Pensions Secretary David Gauke said: “Everyone should be able to go as far as their talents can take them, but for too long disabled people and people with health conditions have been held back from getting on in work. Health Secretary Jeremy Hunt said: “Mental ill health can affect anyone, from any walk of life at any time. For too long society has dictated that people with physical and mental health issues or a disability are a burden. Ensuring that more people with disabilities or long-term health conditions can get into and stay in work would not only enhance their lives, but actually enrich our economy too. Commenting on the Government’s strategy, Rachel Suff, Senior Employment Relations Adviser at the CIPD, the professional body for HR and people development said: “The Government’s strategy Improving lives: the future of work, health and disability has far reaching proposals for supporting one million more people with a disability into work in 10 years as well improving employers’ support for people’s health. “We welcome the broad acceptance the recommendations made in the Stevenson/Farmer review and the Matthew Taylor Review of good work designed to improve not only how employers recruit, but progress the careers of, people with a disability or health condition. By encouraging greater transparency and better reporting of action taken as suggested, Government can help inspire wider change in employer practice. “Proposals such as reforming Statutory Sick Pay to facilitate flexible working and expanding fit note certification to other healthcare professionals will need further development work and legislative change. We welcome the fact that the Government is taking the time to research and demonstrate a sound evidence base on other proposals, such as determining what incentives could motivate employers to invest in people’s health. 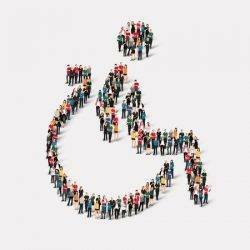 “However, we need a considerable step change in employment practice relating to the management of people with a disability and/or health condition if the Government’s aims are to be realised. Its Green Paper showed that just 8% of employers had recruited a person with a disability or long-term health condition over a year, a stark indication of the extent of the barriers that continue to hinder employer confidence in this area.